Technological innovations have had one of the highest impacts on the education industry. Educational institutes are now able to offer their courses beyond boundaries, in numerous formats and not only earn revenue, but also make a meaningful impact. The manner in which teachers and students interact with one another, and how lessons are taught have also changed greatly with web platforms replacing discussion rooms. We offer sophisticated learning tools for eLearning and other educational institutes to enable them to utilise the immense potentials of technology to deliver their lessons. Our solutions for communication have brought about greater accessibility of teachers to individual students. We have delivered applications that have enabled institutions to digitise their libraries, so that students can access resources on the web platform for their reference and assignments. 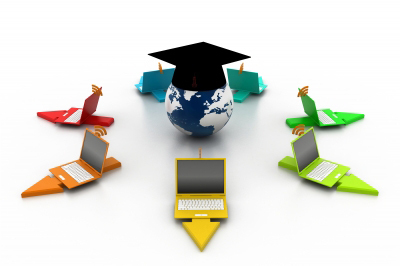 Our cloud solutions have streamlined the data access and assignment submission methodologies. We can support you in setting up virtual classrooms, notes, presentation and much more. Teachers can stay updated with the latest trends and events while students can easily access relevant information to help them with learning.